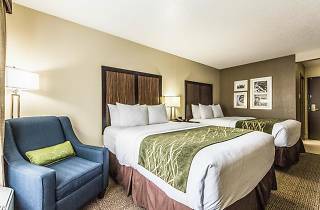 Conveniently located near the main freeways, the hotel offers close proximity to must-see attractions and buzzing hubs like downtown Dallas. 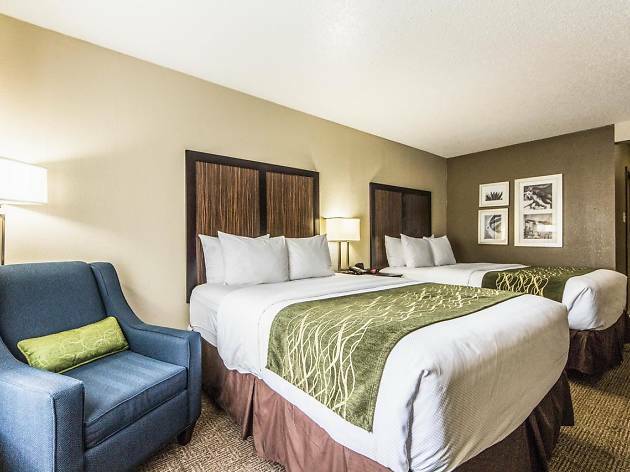 Hotel amenities include free Wi-Fi, free hot breakfast, free local calls, an outdoor pool and hot tub, free accessible parking, a fitness center, a business center, and facilities for meetings and events. Inside each room, you'll find a microwave, refrigerator, coffee maker, work desk and flat-panel TV. As for dining and nightlife, Addison's bars and restaurants are just 10 minutes away. Alternatively, there are good dining options in and around the Galleria Dallas, as well as fantastic shopping venues.